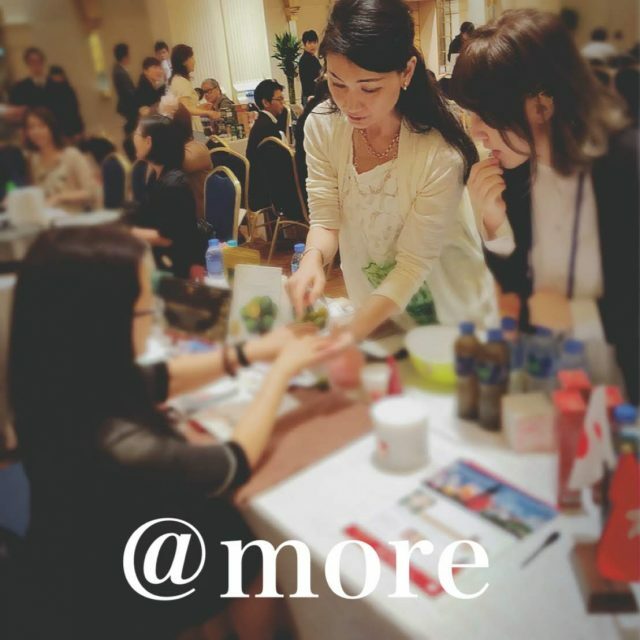 @ more pursues clear beauty and refined health, chooses only the best natural, rich herbs and plants of Okinawa for the body and continues to support everyone’s health and beauty. The traditional Okinawan medicinal herbs that support the world’s highest longevity rates recently had their efficacy clarified by the latest research evidence data. We deliver professional products that comprehensively capture both inner and outer beauty to those who are looking for high-quality health and beauty. @more selects only the best for the body among the natural rich Okinawa medicinal herbs and plants, and will continue to make naturally safe and secure products to support everyone’s health and beauty. It is said that modern society is far from the actual healthy life expectancy by 10 years despite being called the longevity society. In order to deliver a healthier 10 more years, it is necessary to create health from both the inner (food) and outer (beauty products) surfaces of the body. Currently there is an increase in medical expenses and pressures on finances are inevitable, we intend to deliver products that create health at the core, promote well-being from the inside, anti-aging for the outside and we aim for beauty from happiness by researching and developing products that produce real results. And, we sincerely hope that our efforts will be able to help contribute to society by reducing social security, medical and nursing care expenses. @more’s inner beauty products are developed based on advanced nutrition.The lineup of our finest products has produced a number of successful dieters. These high-quality products are born from ‘traditional, organic materials x latest evidence’ based on biochemistry and medical nutrition and are completed with a formula not compromising on any of the selected materials. High-quality products that produced the top-level, body slimming technology of the beauty world.Our company’s professional series is under the concept of ‘Beautiful Through Health’. Highly-concentrated, active ingredients promote skin absorption, directly act on the TCA cycle and activate the body’s cycle. For professionals aiming for the real thing.The new forefront of originally formulated products. ―Can lose 3kg in one week!? The Diet Power Shake continues to support our slimming salon’s achievement results. Those results have been demonstrated by the accomplishments of our customers. Deep ocean water is rare sea water taken from the mysterious sea floor where sunlight cannot reach. All around the world for 2000 years, the abundant minerals contained in the sea water have been said to be very necessary for the human body. Plant Stem Cell Face Serum. The plant stem cell culture component is a purified component of physiologically active peptides secreted by stem cells. With just one of these, your bath time at home will change into ‘exfoliate’, ‘tightening’ and ‘moisturize’ care time. It is a completely new type body soap, with carefully selecting ingredients of Okinawa that changes usual bath time into beauty time by combining body slimming ingredients and exfoliating with foaming salt and Okinawan kucha soil. It is a diet support enzyme juice. You don’t need to drink the bitter, green juice ‘aojiru’ any longer. With the aim as ‘Delicious health to be continued on a daily basis’, we have finished creating a drink of high quality and high concentration of purely Okinawa grown Miracle Tree 『Moringa』blended with island mulberry, isomaltodextrin (slimming bacteria), bromelain and other new ingredients. 27 types of naturally rich Okinawa island vegetables and leaves of Moringa the ‘Miracle Tree’ which has 90 beneficial elements plus lactic acid bacteria, oligosaccharide and candle bush. ―Available for Purchase High-Grade Organic Moringa Raw Materials From Ginoza Village, Okinawa. In the far south of Japan, subtropical Okinawa is suitable for growing Moringa. It is possible to purchase these raw materials made from high-quality, organic moringa grown in Ginoza Village, Okinawa.Please contact our office for inquiries. ―For the you who wants to always be healthy and in your prime! Black turmeric is also said to be black ginger.Unlike ordinary turmeric, the surface of a cut root shows a vivid, purple color, rich in anthocyanins and contains an abundant amount of amino acids, such as methoxyflavone, selenium, arginine, etc. and full of strong antioxidants.